For weeks now, your top client has been dancing around a decision. It’s been a careful ballet just getting him to this point, but he can’t commit. You are, in fact, getting a little worried that he might waltz right out of the deal and you may need some fancy moves to keep things on track. So how do you learn to be light on your feet and creative in this situation – and others? 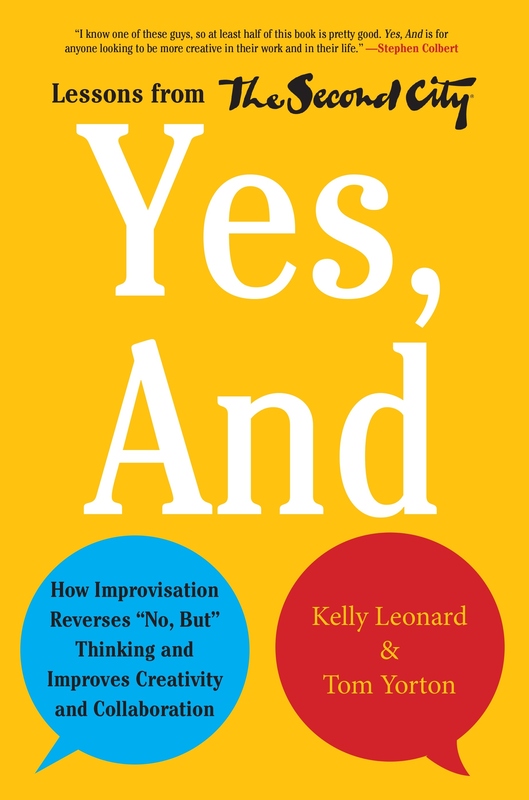 Start with “Yes, And” by Kelly Leonard & Tom Yorton. In their long careers with The Second City, Chicago’s famed comedy center, Leonard and Yorton have had the good fortune to watch talented performers shine through the use of improvisation. Improv, in comedy and at work, lets practitioners respond more quickly to a situation – sometimes with the bonus of comic relief. Once you understand the power of Yes, And (and once you understand what it isn’t), the next step is to eliminate all teams in your organization and build an “ensemble.” Teams are adversarial, the authors say; ensembles are collaborative. Let ensembles collaborate freely by ceding control, showing respect, and teaching them to let go of fear. Know how to use customer feedback as a “co-creation tool.” Remember that people are more likely to embrace an idea if they helped form it. Pay attention to what’s going on in the world, where your business is, and where your clients sit. Don’t be afraid to look foolish when utilizing humor in your business improv. I don’t know of any business person who likes to hear the word “no.” It’s a syllable that often frustratingly shuts things down, but what you’ll find in “Yes, And” may help spin that answer around. While this is a serious business book about not always being serious, authors Kelly Leonard & Tom Yorton use entertaining anecdotes and workplace examples to explain how improv – thinking fast, listening, and acting on what you heard – is a talent that translates easily from stage to office. I loved most of their ideas, but I have to admit I became overwhelmed sometimes, which is perhaps the point: nobody says you need to do everything here. Improvise. If your sales or marketing department needs freshening up, this book and the exercises inside it may help, and they’ll surely make things fun. So put your best self in, put your best self out, and read “Yes, And.” Isn’t that what it’s all about? Terri Schlichenmeyer’s reviews of business books are read in more than 260 publications in the U.S. and Canada.